Mana Energy Potion is energy for gamers. But hey, we know you think the bottle is totally awesome (and it is!) and you would love to buy some but you don't consider yourself a gamer. Well, if you have a need for some extreme energy then consider yourself a gamer. This energy potion will keep you going for a long, loong, looooong time. Mana Energy Potion is sugar free, contains Vitamin C, Vitamin B1, Vitamin B3, Vitamin B6, and Vitamin B12, and is energized by caffeine and taurine. The energy delivery is smooth with no crash, and with the equivalent amount of caffeine as TWO Red Bulls you can keep going for 5-8 hours easy on a single Mana. All this in 50ml and only 20 calories. 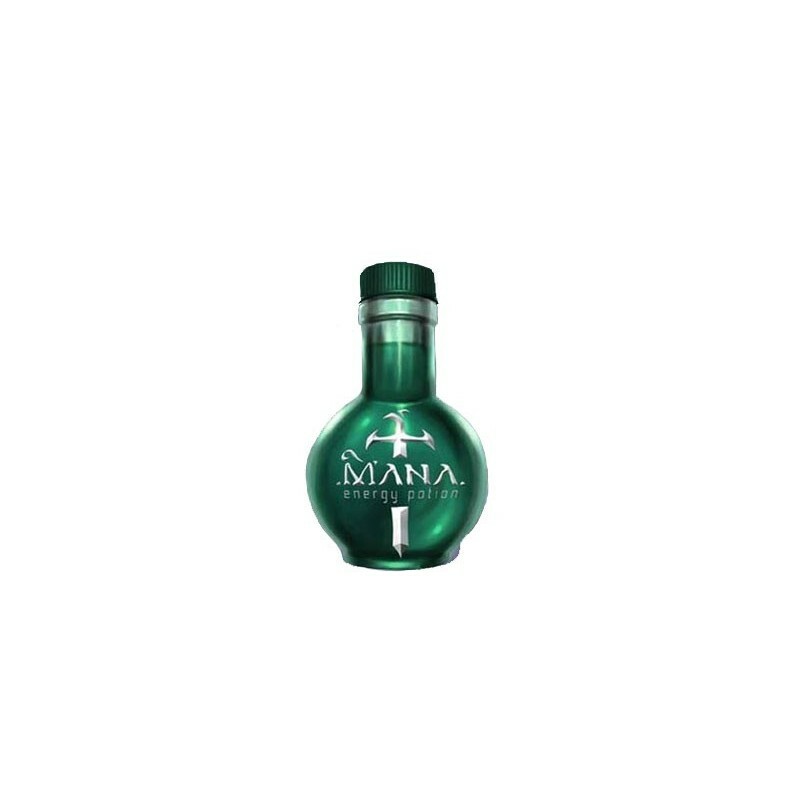 Check out the new Health Energy Potion as the perfect complement to Mana Energy Potion. The moment you drink this you WILL feel like you can throw lightning and fireballs. Try keeping the bottles afterword, they're good for costumes from fantasy rpg characters to Jekyll and Hyde. Don't underestimate their small size - Mana Potions are POWERFUL. Just the smell of one of these can wake you up. The flavour is pleasant, but VERY intense. You'll want to have some water on hand when trying a mana potion for the first time, if you're not careful when swallowing it'll burn your throat. Very effective and you have a neat bottle left over that can be used as a prop in Games or Costumes.